The End of Water Fluoridation… or Continued Brain Damage? A shocking, newly-published study, confirming what we have known all along, was just released: 12 year, multi-million dollar study from Mexico shows conclusively that fluoride does affect the brain and a definitely is a neurotoxin. The study was published in Environmental Health Perspectives (a monthly peer-reviewed journal of research and news published with support from the National Institute of Environmental Health Sciences (NIEHS), the National Institutes of Health, and the U.S. Department of Health and Human Services), and one of their articles shows child brain damage when pregnant mothers drink fluoridated water. WARNING: Pregnant women should NOT drink fluoridated water, according to the study. It is associated with lower IQs in children. The loss of IQ is very large. The child of a mother who was drinking 1 ppm Fluoridated water would be predicted to have 5 to 6 IQ points lower than if the mother had drunk water with close to zero Fluoride in it. The study measured urine Fluoride, which is usually a better indicator of total Fluoride intake than is the concentration of Fluoride in drinking water. When drinking water is the dominant source of Fluoride, urine Fluoride and water Fluoride are usually about the same. So, the average urine Fluoride level in this study of 0.9 mg/L implies that woman was ingesting the same amount of Fluoride as a woman drinking water with 0.9 mg/L Fluoride. The range of Fluoride exposures in this study is likely to be very close to the range in a fluoridated area of the United States. The doses in this study are directly applicable to areas with artificial fluoridation. There is no need to extrapolate downward from effects at higher doses. The claims by fluoridation defenders that only studies using much higher doses than occur in areas with artificial fluoridation have shown a loss of IQ are squarely refuted by this study. Those false claims range from 11 times to 30 times higher, but are based on the logical fallacy that it is the highest dose amongst several studies that is relevant, when it is the LOWEST dose amongst studies that is most relevant. This study offers confirmation of previous less sophisticated studies in Mexico, China and elsewhere. Some of those studies had higher Fluoride exposures than are commonly found in the USA, but many did not. The sole study in a country with artificial water fluoridation (as opposed to artificial salt fluoridation which was likely a main source of Fluoride in this new study) was by Broadbent in New Zealand. That found no association between water Fluoride and IQ and was trumpted by fluoridation defenders. But that study was shown to have almost no difference in TOTAL Fluoride intake between the children with fluoridated water and those with unfluoridated water, since most of the unfluoridated water children were given Fluoride supplements. The study authors are cautious in their conclusions, as is common for scientists. But the implications of this study are enormous. A single study will never prove that Fluoride lowers IQ at doses found in fluoridated areas, but this is more than a red flag. It is a cannon shot across the bow of the 80 year old practice of artificial fluoridation. All of this loss of brain power of our children is justified by the government by reference to some studies that show decreased cavities in 12 year olds with water fluoridation. Other studies show no such decrease in cavities. “The magnitude of [fluoridation’s] effect is not large in absolute terms, is often not statistically significant and may not be of clinical significance.” – Ontario Ministry of Health and Long Term Care (1999). Note that the study authors say “we need further study” which just accentuates the reality that fluoridation is a human experiment, an experiment with compelling evidence of damage to the developing brains of children in the womb. This is unconscionable. Yes, we’re talking about fluoride — the toxic substance that’s added to the public water supply. It’s mass medication forced upon the public without regard to dosage and side effects. But as sovereign beings, WE should have the right to decide whether to ingest this toxic substance or not, and we shouldn’t have to pay for filters to REMOVE it (if that were possible). It should NOT even be in the public drinking water in the first place! Many other news outlets have been reporting on the recent study. And a Medical Daily article with the same title: Children’s IQ Could Be Lowered By Mothers Drinking Tap Water While Pregnant. Moms-to-be know well that pregnancy is no cake walk. Their diets adjust, their moods fluctuate, and their body puts them through an emotional and physical obstacle course of a lifetime. Throughout that time, the right habits can make for a healthier baby, but everything isn’t always as simple as taking folic acid and attending Lamaze class. According to CNN, expecting moms might have to start avoiding tap water. FACT: Fluoride is a dangerous substance and the active ingredient in most insecticides! If ingested, as little as 1/10 an ounce of fluoride can kill a 100 lb adult and 1/100 of an ounce can kill a 10 pound infant. Studies have shown that exposure to fluoride can cause neurological damage and an increased risk of bone cancer. FICTION: Fluoride added to the public water supply strengthens teeth and helps prevent cavities. It’s like we’re living in the Dark Ages. Even medical doctors are still trying to alter human physiology using chemicals (drugs) rather than respecting the human body as a divinely created being and its responses, which they refer to as “diseases”, as intelligent reactions. Doctors seem to believe that taking medication can solve a symptom, but the symptom is a result of an underlying CAUSE, and the human body doesn’t do anything unintelligently. It DOES, however, respond to external stimuli in a way that will protect itself, to the best of its ability. A basic study of human anatomy and physiology shows this. Fluoride is one of those dangerous chemicals – a drug – that has toxic, long term effects on the human body, and we’ve known this for years. Ingesting fluoride through drinking water passes by the teeth quickly and heads straight for internal organs, including the liver, intestine, kidneys, and brain! 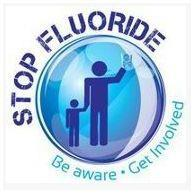 Mandating water fluoridation is like poisoning our waterhole! Many communities around the state of Arkansas have voted fluoridation down more than once. Remember the last 2017 legislative session regarding the bill on local control on water fluoridation? The Senate City, County, and Local Affairs committee of 8 decided we could NOT have local control regarding water fluoridation! Arkansans needs to really hammer local control with their state legislators, but what we need is the fluoridation mandate repealed! The state of Missouri allows local control of fluoridation. Note: For those of you who have contacted Secure Arkansas recently wanting more information on the harmful effects of fluoridation, please be sure to watch this factual video from Dr. Phyllis Mullenix speaking at the International Academy of Oral Medicine and Toxicology (IAOMT) in Las Vegas. Drinking water should not be fluoridated, much less mandated! Why should we be forced to have this poison in our tap water? Fluoride is NOT a benign substance. Fluoride IS a neurotoxin! He is correct. 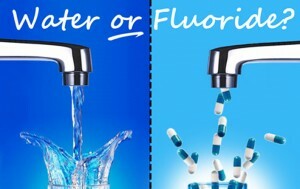 We should ALL be avoiding fluoride and fluoridated water. CHICAGO, September 19, 2017 – The American Dental Association (ADA) examined a study in Environmental Health Perspectives based on fluoride intake in Mexico and concludes the findings are not applicable to the U.S. The authors of the study suggest that prenatal exposure to fluoride may cause lower IQ in children. However, because it is unknown how the subjects of the study ingested the fluoride – whether through salt, water, or both – no conclusions can be drawn regarding the effects of community water fluoridation in the U.S. Moreover, according to the ADA, the best available scientific evidence shows no association between the U.S.-recommended amount of fluoride used to prevent tooth decay and IQ. Fluoridation has been named by the Centers for Disease Control and Prevention as one of 10 great health achievements of the 20th century, and more than 100 U.S. and international health organizations including the World Health Organization recognize the public health benefits of community water fluoridation for preventing dental decay. Of course they are going to discredit the study! They have no choice but to stick to their disconcerting statements. Of course they are still proclaiming fluoride is safe and effective! Remember, the cover-up on the dangers of fluoridation has to be kept in place! Otherwise, can you see that class action lawsuits would be brought forth, just like for any other dangerous drug that carries harmful side effects?! The American Dental Association claims that fluoridation “has been named by the Centers for Disease Control and Prevention as one of 10 great health achievements of the 20th century”, but statements about the safety were also made about DDT and asbestos! This protection racket must be exposed! One of the CDC’s organizational partners is the World Health Organization! The relationship is incestuous! Big money and corporations pose a threat to the global population because there’s a huge conflict of interest! Attention: U.S. Centers for Disease Control and Prevention (CDC) receives heavy funding from industry through the CDC Foundation! This supposedly governmental agency — the CDC — is listed in Dunn & Bradstreet as a FOR-profit corporation. It’s also been exposed as a private corporation colluding with Big Pharma! CDC has a direct conflict of interest due to its connection to the CDC Foundation. In other words, the CDC believes and “assures” you that it has the moral backbone to do the right thing, despite the fact that studies have revealed that moral fiber tends to significantly deteriorate as soon as a funding source with an agenda starts doling out money! The Centers for Disease Control and Prevention CANNOT be trusted. In the above table — at the time each substance was introduced — the public was told that each one was safe. It wasn’t until decades later that the substances were banned by the government for health reasons. How long is it going to take and how many deaths will occur before CDC and the Health Departments wake up and ban fluoride? Seems to us that the CDC, EPA, and FDA have NO concern for people’s health! They refuse to allow science to guide them. A great many of our doctors/scientists have been fired, suppressed, or terribly underfunded while trying to expose the atrocities perpetrated on mankind. Who really runs this country? The global elite from their corporations and foundations, that’s who. They are making laws and setting injurious policy guidelines, like states mandating the addition of toxic fluoride into their drinking water. The propaganda and brainwashing are staggering. The organizations that partner with the CDC Foundation often do it to advance their corporate agenda and to help CDC to move faster… Therefore, a lot of money is fed into the CDC to promote the corporate agenda. These “Dental Tips” about purposefully ingesting fluoride are ridiculous! Hopefully you don’t use fluoridated toothpaste, but if you do — take a look at the warning label on the back of it. It very clearly states: “If more than used for brushing is accidentally swallowed, get medical help or contact a Poison Control center right away”! Does that mean fluoride is “safe and effective”? Absolutely not! And for children under 6 years of age, a pea-sized amount is recommended. Do your children use that small of an amount of toothpaste? Most people squeeze it on until it nearly falls off the toothbrush! The day after the findings from the informative Mexico study were released, an article was written by Amber Auger, a public hygienist who is a key leader for several dental companies, rebutting the information CNN released on September 19, 2017 about the new educational study and showing how worried they are with the facts. Fluoride propagandists have been spouting disingenuous statements for years, and it also shows they are preparing with their same old line of misinformation about fluoride being “safe and effective” for everyone. “On September 19, CNN released an article http://www.cnn.com/2017/09/19/health/fluoride-iq-neurotoxin-study/index.html stating the fluoride exposure in utero is linked to lower IQ in children. I urge you to be ready to answer questions regarding fluoride. My fear is patients will read the article title and take the limited study out of context. Let’s review the study and equip you with the facts to be better prepared. The initial study is aimed to “estimate the association of prenatal exposure to fluoride with offspring neurocognitive development.”(1) The researchers report that additional studies are needed to confirm the link. Most consumers will see the title of the CNN article and assume all sources of fluoride are dangerous. We understand the benefits of fluoride in correct amounts. It is our role to educate on the importance of the therapeutic benefits of fluoride. As dental professionals, it is important to remember that multiple factors contribute to tooth decay. 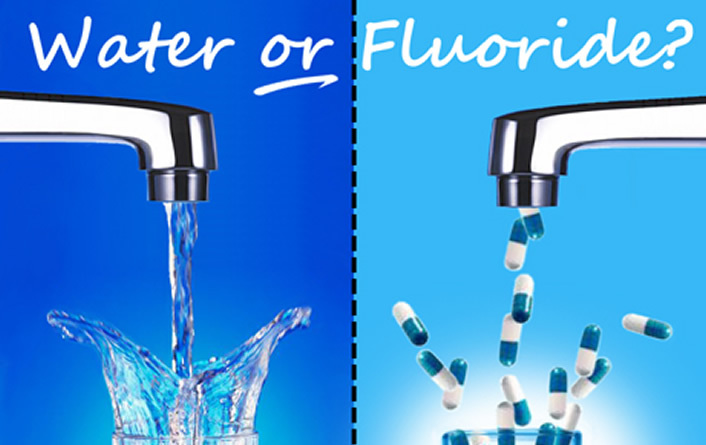 Therefore, if the patient decides not to accept the fluoride recommendations, we can reinforce the importance of biofilm disruption, provide products that will help balance the pH of the mouth, and recommend diet changes to reduce the patients’ risk of tooth decay. Keep in mind that, if Ms. Auger is a “key opinion leader for several dental companies”, this could show a conflict of interest — as it appears that she’s promoting harmful fluoridation propaganda! The remainder of our article includes links to reputable resources about fluoride toxicity and the health problems and neurological damage caused by ingesting it. Here’s an article from 2014: Toxic chemicals linked to brain disorders in children — A Harvard study finds six newly recognized chemicals to add to list including fluoride. Here’s another scholarly journal article from 2012 entitled “Developmental Fluoride Neurotoxicity: A Systematic Review and Meta-Analysis” by Environmental Health Perspectives, published on the National Institutes of Health’s U.S National Library of Medicine’s website. This published article summarizes a 5-year study funded with about $2,000,000 by the National Institute of Environmental Health Sciences (Director: Linda Birnbaum). “Further, our pilot data shows evidence of an inverse relationship between prenatal biomarkers of fluoride exposure and general cognitive function at 2 years (Bayley Scales of Mental Development), 4 years (McCarthy Scales of Children’s Abilities) and 7-14 years (Wechsler Abbreviated Scales of Intelligence). In closing, once again, we are warning the public: fluoridation is NOT safe, and it is NOT effective! Remember, if you are being told to drink lots of water with fluoride in it, BEWARE! Use caution when consuming this drug because you can be overdosed. Ingesting fluoride puts you and your children at risk. Once again, Arkansas’ Act 197 is the drugging of Arkansans with unregulated doses of fluoride without informed consent. We believe this violates our bodies and is considered torture and is cruel, inhuman, or degrading treatment or punishment. This is all on the pretense of preventing tooth decay in poor children, who the CDC admits are disproportionately harmed by water fluoridation. We must demand safe clean drinking water for our families from our state legislatures! Secure Arkansas has a burden for the people – for their health and welfare – as you can see from our articles.